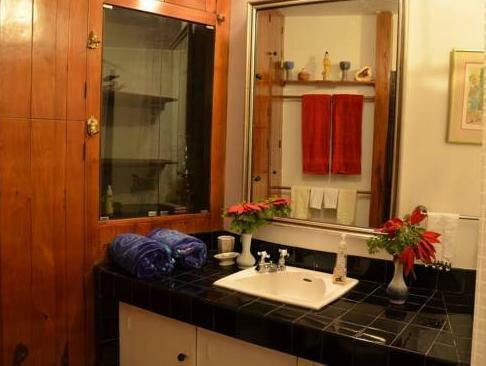 ﻿ Best Price on The Fan Villa in Port Antonio + Reviews! Williamsfield, Port Antonio, Port Antonio, Jamaica, P.O. Just 4.3 mi from Port Antonio, The Fan Villa is located in the hills of Williamsfield. The apartment has beautiful oceans views, and is close to Frenchman’s Cover Beach. Free Wi-Fi is available in the facility, where the guest will also find a sun terrace, a hot tub, gardens and free parking on site. The Villa has a housekeeper that can cook selected cuisine for guests and there is a Jungle Bar on site. You can reach Ken Jones Airport through the A4 motorway, which is 20 minutes’ drive from the apartment.